After a plaintiff files a complaint, a defendant can include in the response a demurrer or a motion to dismiss. While a demurrer or a motion to dismiss is typically used early in a lawsuit, the use will vary based on the court system, the jurisdiction and the purpose. A demurrer is generally used in a state court and is thus governed by the state court rules. State rules may vary about whether a defendant may respond with a demurrer and the limitations of the demurrer. A motion to dismiss, on the other hand, is used in federal court. Depending on its purpose, a motion to dismiss is usually governed by Federal Rules of Civil Procedure 12. A demurrer is an objection to a complaint or counterclaim, not a motion to dismiss a case. A defendant can file a demurrer to object that a case proceeding because the plaintiff did not state a valid claim. A demurrer does not dispute the facts of the case but argues there is no legal claim even if the facts presented by the plaintiff are true. The demurrer is either sustained or overruled by the judge, not the jury. If a judge overrules the demurrer, the defendant must respond to the rest of the plaintiff's complaint or risk a default judgment where the judge rules in favor of the plaintiff without allowing the defendant the right to defend. If a judge sustains a demurrer, the case is either dismissed with prejudice or without prejudice. A demurrer dismissed with prejudice means the plaintiff cannot amend his complaint and serve it to the defendant. A motion to dismiss for failure to state a claim is governed by Federal Rules of Civil Procedure 12(b)(6). It can be raised at any time, but is typically raised early in the proceedings. The use of the motion for this purpose is on the basic argument that there is no need to use discovery or trial evidence and the court should dispose of the case. When a defendant files a motion to dismiss for failure to state a claim, a court will generally look at the plaintiff's pleading. The court does not examine any depositions or affidavits. If the pleading is missing a fact required to support an element of the cause of action, the court will dismiss the case without prejudice. In this case, the plaintiff will be allowed to amend the pleading and serve it to the defendant to respond again. A defendant can file a motion to dismiss a case for lack of personal jurisdiction. A motion filed for this reason is generally filed immediately after receiving a plaintiff's complaint; otherwise, a defendant will be deemed to have waived objection to personal jurisdiction. And if this objection is waived, the defendant cannot appeal based on lack of personal jurisdiction. If the court grants a motion to dismiss for lack of personal jurisdiction, a plaintiff can refile the suit in a location where he thinks a court will have personal jurisdiction over the defendant. Based in Michigan, Sally A. Coldfeather has been writing policy and politics-related articles since 2002. She served as a writer and copy editor for the Michigan "Democratic Dispatch," and received an employee award from the Michigan Democratic Caucus. She holds a M.P.A. in public service and leadership, and a Juris Doctorate. A., Sally. "Difference Between Demurrer & Motion to Dismiss." 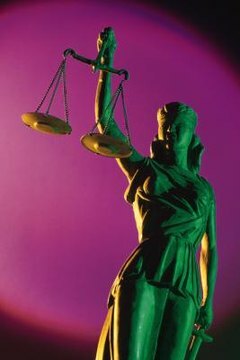 , https://legalbeagle.com/8560242-difference-between-demurrer-motion-dismiss.html. Accessed 21 April 2019. Can I File My Own Motion to a Summons for Civil Action?